With the prevalence of email and instant messaging apps, people don’t write letters as often as they used to. But with the postal delivery of products sold by online retailers, with postal savings accounts and remittance services, and with the friendly hellos from the “aunties” and “uncles” behind the counters, Taiwan’s post offices seem a safe bet to remain a part of people’s lives and collective memories. Established for 120 years, Chung­hwa Post has long been acting as a friendly neighbor. 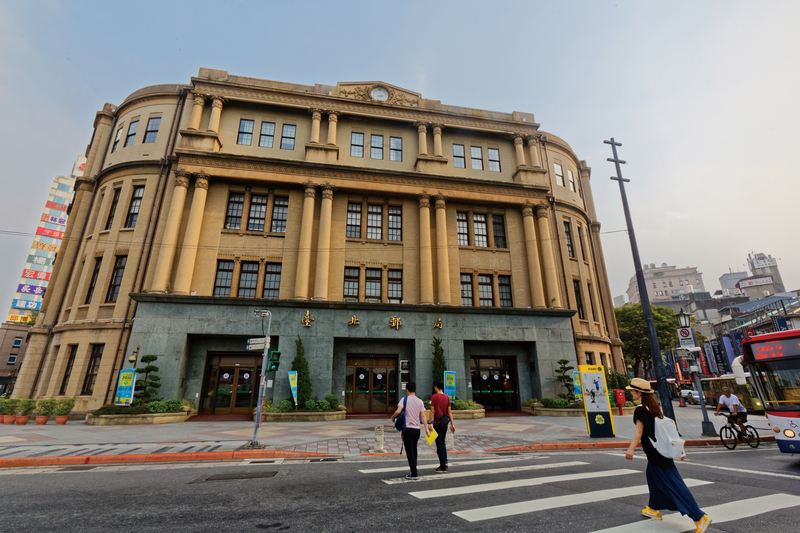 Chunghwa Post was first established in 1896, so this year marks its 120th anniversary (though it has recently moved from being a government agency to a government-owned corporation). It handles an increasingly wide variety of products and services: postal services, savings deposits and accounts, life insurance, philatelic products, and property rentals, among others. It even serves as an agent for sales of retail products. 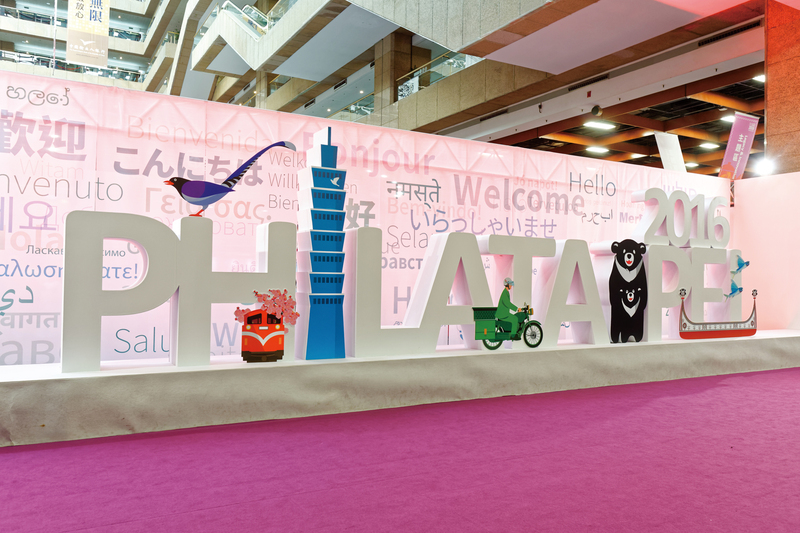 At the end of October 2016, Chunghwa Post held the 2016 Phila­Tai­pei World Stamp Championship Exhibition after two years of preparations. It had worked very hard to get the rights to host the exhibition on behalf of the Fédération Internationale de Philatélie for the first time. 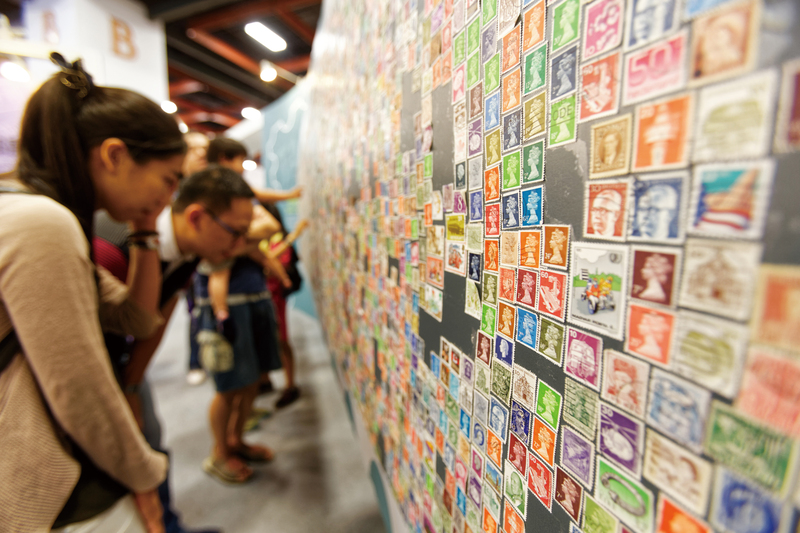 Some 80 nations were invited to attend and display their precious stamps and other philatelic products for collectors from around the world. Stamps, which have long provided necessary enumerations of postage and have gone with letters to locations around the world, offer a glimpse of history or culture within their tiny frames. They serve as the name cards of their nations. Food, nature, ancient artifacts and paintings, as well as images of famous persons, typically provide their themes. The “Taiwan’s Scenic Beauty” stamp set features colorfully lined images of sky lanterns, dragon boats, Yu­shan (Mt. Jade) and Sun Moon Lake. “Chung­hwa Post 120,” on the other hand, ingeniously commemorates the post office’s history with a series of small illustrations featuring various mailboxes, delivery vehicles and so forth that have been used in different eras. Commemorative stamps of ROC presidential inaugurations began with the ninth president and previously featured traditional portraits of the president and vice president. For the inauguration of the 14th president and vice president in 2016, designer Aaron Nieh took a fun digital-age spin on the portraits, creating simple pixelated illustrations that left their eyes as single dots. 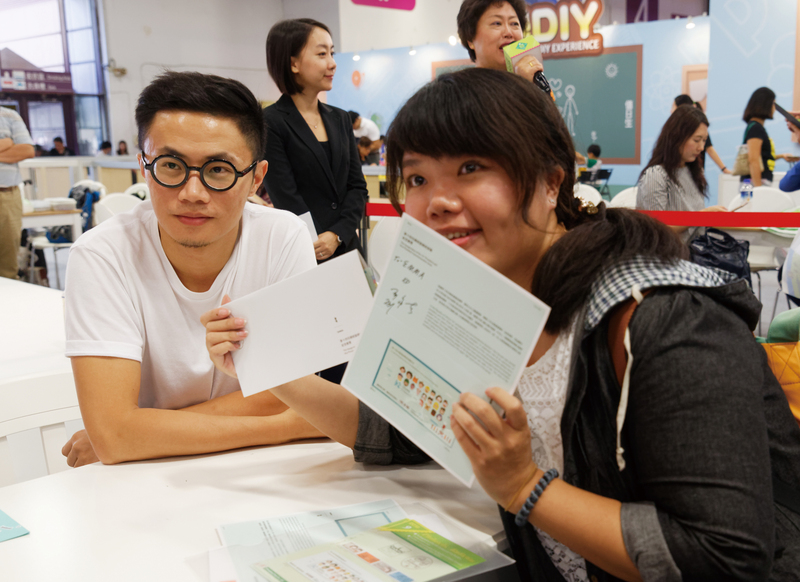 Over time, these series of commemorative stamps have become platforms for showing off Taiwan’s design abilities, where artists can both highlight their talents and promote a love for philately among young people. 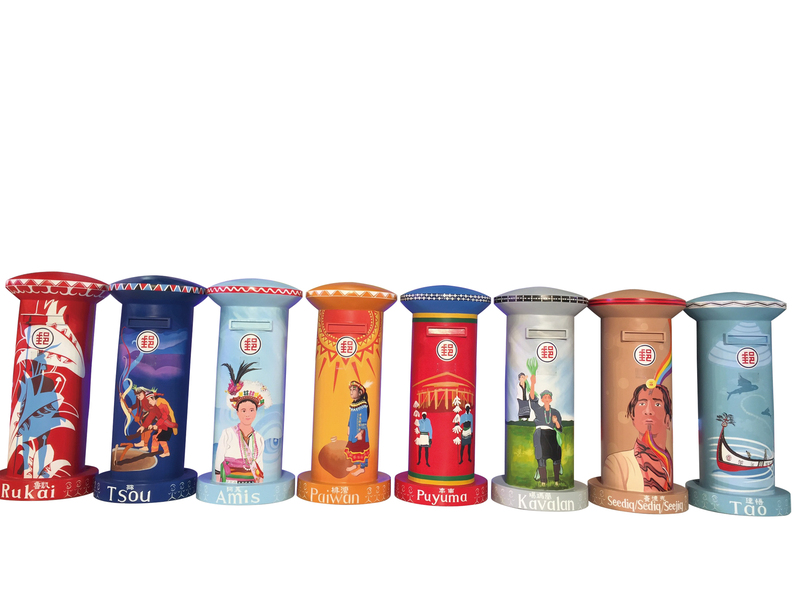 New mailboxes with special Aboriginal flavors were also unveiled at the exhibition. They too represent a bright spot of innovation in the history of ROC postal services. 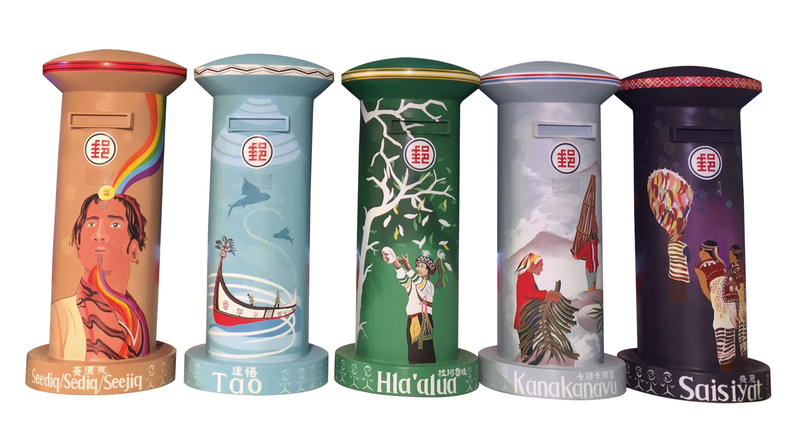 Chung­hwa Post commissioned the Aboriginal artist La­vuras Ma­ti­lin to design mailboxes that draw on images symbolic of various tribes, including colorful representations of the lilies of the Rukai, the flying fish and wooden canoes of the Tao, and the Ma­yasvi Festival of the Tsou. 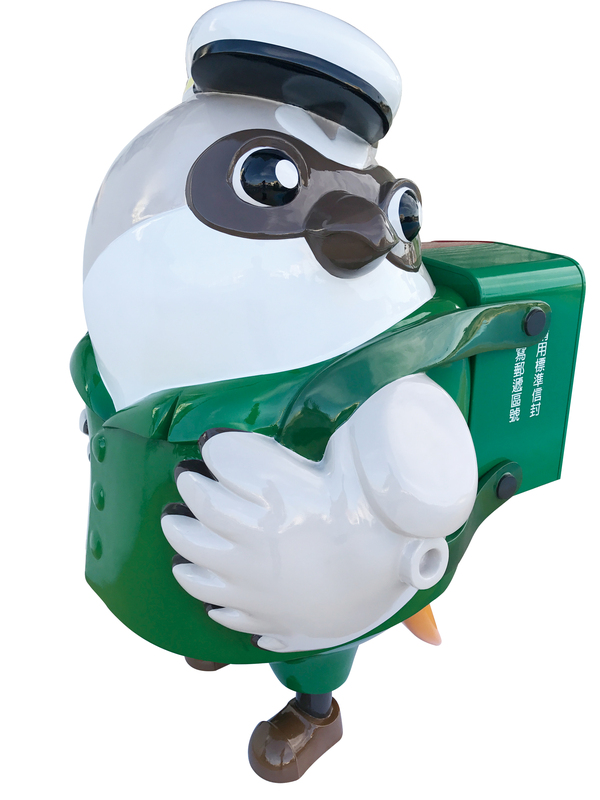 Chunghwa Post has consulted with various townships about where to install these special mailboxes. 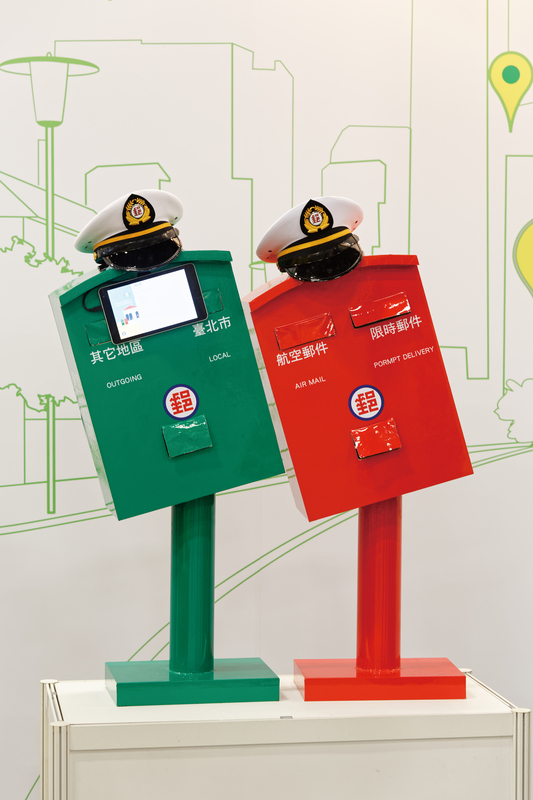 For instance, Pai­wan-themed mailboxes will be installed in ­Shizi and ­Taiwu in Ping­tung County, and Ata­yal-themed mailboxes are being sent to Hsin­chu County’s Jian­shi and Yi­lan County’s Nan’ao. Meanwhile, there are plans for an island-wide activity that will encourage people to put photos of themselves next to these special mailboxes on Facebook in the hope of deepening the public’s understanding of Aboriginal culture and spurring local tourism. Over the past few years, Chunghwa Post has been sparing no effort at refurbishing its facilities in the hope of giving the public a comfortable postal environment, as well as providing outstanding service. After being appointed Chung­hwa Post chairman, Philip Ong toured post offices in various locations and discovered that many of them were showing their age. Facing the decline of industry in Taiwan over the next decade, Ong says, he realized that aging facilities needed to be renovated “so that local township post offices can become extensions of people’s living rooms and young people can be enticed to enter them.” Giving post office branches a younger and more community-minded orientation starts with attention to appearances. The post office on Ren’ai Road in Tai­pei, originally built over 50 years ago, was among the first wave of renovations. The counters have been lowered in height. Interactive computers allow customers to purchase many postal products. Lines have been replaced with computerized take-a-number systems and seated waiting areas. The facilities are brighter with a better sense of style. The traditional image of the post office has been overhauled, while the public has been provided with even more efficient and professional service. The Ren’ai Road post office was chosen as the pilot branch for the project, and renovations have followed elsewhere with the addition of local elements, such as traditional eastern-Fu­jian-style architecture at the Ma­tsu branch and images of Mt. Ali’s “sea of clouds” and its narrow-gauge railway in the palace-style architecture of ­Chiayi County’s Ali­shan branch. Chung­hwa Post hopes to incorporate local elements so that post office branches will become part of their locale’s collective memories. The Fang­shan branch in Ping­tung, which has been redesigned as one gigantic flat-rate shipping carton, represents another amazing breakthrough. The post office in Ping­tung hired a design team to think about how to redesign the packaging of the post office’s flat-rate boxes to have some local panache: Carrier pigeons were replaced with shrikes, and the sides of the boxes were festooned with colorful representations of onions and mangoes, both local crops. Then the outside of the local branch was transformed to appear as one huge such box. Even the mailboxes were adorned with images of shrikes and mail carriers. Rooftop solar panels supply both the facility and the grid with power. Fang­shan is on the way to Ken­ting, but tourists used to just pass right through it. Now it has become an attraction itself. 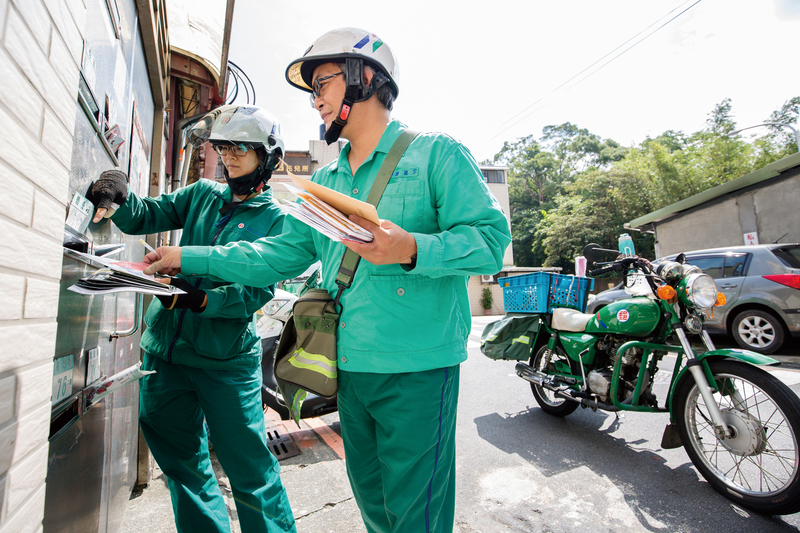 All of Taiwan’s cities and townships, including those on its outer islands, have post office branches, and mail carriers can be found carrying out their duties everywhere in Taiwan. It used to be that mail carriers would get to know the lonely old people of their routes while delivering mail. In recent years Ong has led the way on public service efforts, once even accompanying mail carriers to deliver care packages to low-­income households. He has also encouraged mail carriers, as they deliver mail, to deliver rice and medicine to seniors who are living alone, as well as to offer them warm greetings. They can thus provide a social service as they perform their professional duties. Some say that mail carriers resemble ­Santa’s elves in their green clothing. Apart from bearing gifts for seniors living alone, they have also helped small farmers sell fruit. By making use of its own online sales platform, Chung­hwa Post has helped small farmers expand their sales channels. 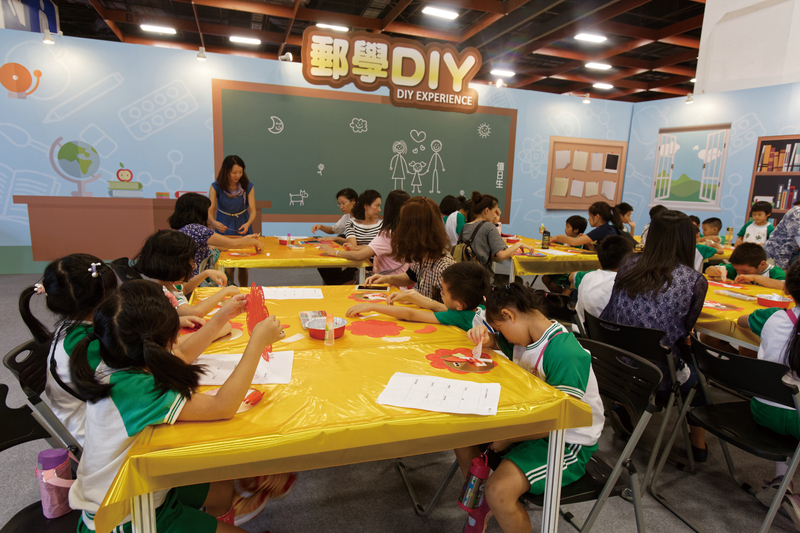 In cooperation with National Tai­pei University of Technology’s Department of Cultural Vocation Development, it has also designed some “culturally creative” packaging that makes various plays on words involving fruit. 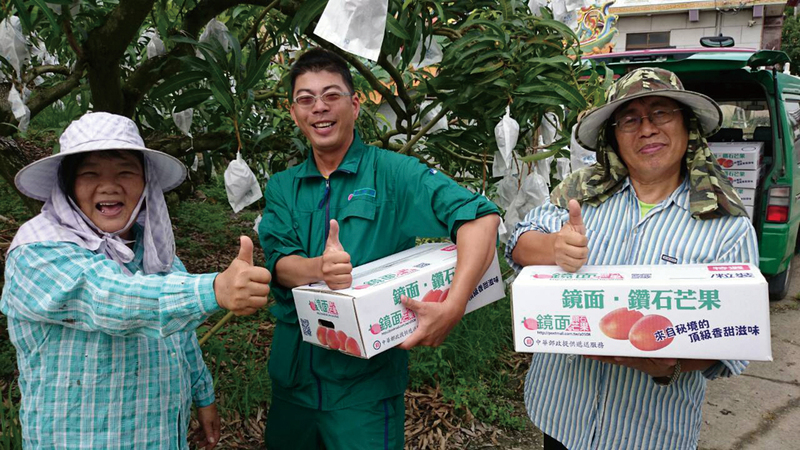 “With high-quality services,” Ong says, “business revenues will naturally follow.” After Chung­hwa Post began to help small farmers sell their fruit, some branches’ deposits actually increased. It turned out that small farmers transferred savings that they had originally kept at farmers’ associations or credit cooperatives to the local post office branch. Consequently, the Da­shu branch in Kao­hsiung climbed one grade in Chung­hwa Post’s internal classifications. 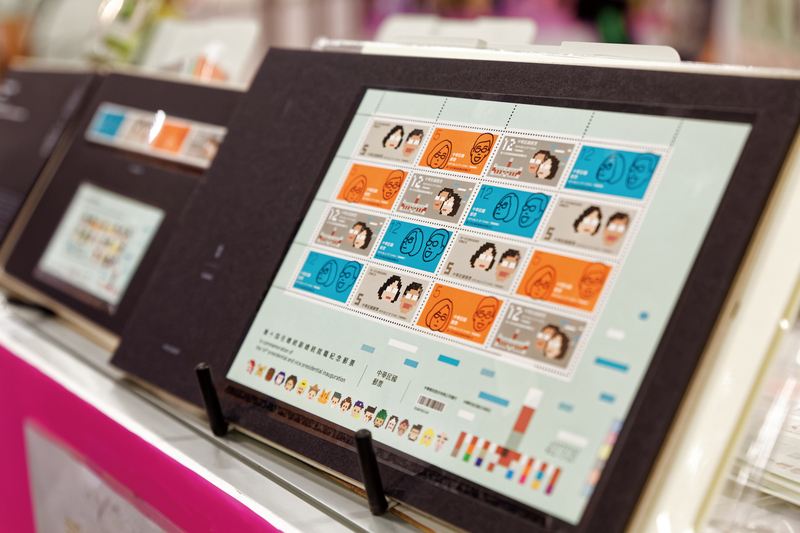 Chunghwa Post has thrown itself into raising quality and improving its image. Casting off the shackles of being a government agency, Chung­hwa Post is creating a new corporate structure and working hard to act as a good neighbor and provide far-reaching services that can accompany us through our lives.